Ann Geisler and Melanie Hart are excited to attend the AABC Gala to Grow Birth Centers event on Saturday, September 28th! The event is AABC Foundation’s annual fundraising event and it is being held at the AABC Birth Institute in Minneapolis, Minnesota. The theme of this year’s fundraising event is “Party at the Headwaters“. We look forward to a night of fine wine and cuisine, great music, and being surrounded by so many amazing women who support midwifery! Southern Cross Insurance Solutions is proud to help sponsor the event. We will gladly help AABC and Kitty Ernst raise funds for her wonderful foundation. 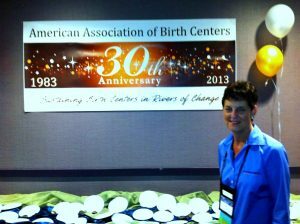 To see pictures from the AABC Gala to Grow Birth Centers event join The Midwife Plan on Facebook and Twitter!